There weren't any surprises for me unless you count how these panelists didn't use the time to discuss the genocide that actually occurred prior the passing of the Indian Child Welfare Act of 1978 and the child abductions by social workers and missionaries - nor did they mention human trafficking and the Nightlight Adoption Agency dealings with Maldonado, the birthmother. They did mention boarding schools. So, I was truly upset. From what I heard, it appears American Indians are eons behind in civil rights and we can't seem to win a case in the Supreme Court. I’d heard that warning years prior but this time at Yale was a bit more in my face. 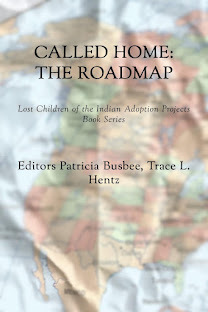 This case was about adoption by non-Indians, something I lived myself. We had Justice Alito writing an opinion that Veronica is 1.2% Indian. NARF attorney Joel West Williams asked the Yale audience, "Who in America is 1/16 or 3/256th anything?" Yet we have a judge issuing his opinion by measuring an Indian for their Indian-ness which equates to measuring a child’s blood? This is still happening? This case is about a little girl (Baby Girl) who is classified as an Indian because she is 1.2% (3/256) Cherokee. Because Baby Girl is classified in this way, the South Carolina Supreme Court held that certain provisions of the federal Indian Child Welfare Act of 1978 required her to be taken, at the age of 27 months, from the only parents she had ever known and handed over to her biological father, who had attempted to relinquish his [**736] parental rights and who had no prior contact with the child. The provisions of the federal statute [*2557] at issue here do not demand this result. I couldn’t sleep ... Dusten Brown never had a chance. He went to Iraq knowing the Capobiancos had his daughter but he had to serve a year and a JAG lawyer took his case. The puzzle remains why Maldonado mysteriously breaks up with him and severs all communication. Was she punishing her high school sweetheart Dusten by selling his baby or was she manipulated by the adoption agency to take their money? 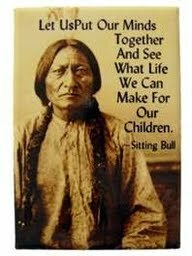 Then it hit me - keeping America ignorant of Indians, culture, actual history - this all works to take Indian children. Judgment is easy. Third World poverty (which we didn’t create) somehow equates to abuse of children. Add their general ignorance of sovereignty and culture, what it means to be Cherokee or Lakota or Navajo or any tribe - and it means you can't win public opinion polls or cases before the Supreme Court? It's been going on since colonial contact. Please, let's not call them settlers anymore but invaders. America has always been the Great Divider, building its fences, writing its laws, counting on classism and racism to divide us. America wins every time when it perpetuates this ignorance of Indians. Do Indians do a good job of educating others about culture, or what's important to us? Not really. We're way behind in any civil rights movement. We've had movies romanticizing us over 100 years and it's hard to kill those "savage" “redskin” stereotypes drilled into all our heads! What do Americans know about Indians? Nothing. Practically zilch. America's "taking care" of Indians only works to create HATE among Americans who view us as privileged in some way that they are not. Like why do we even have a law that keeps nice white people from adopting Indian babies? 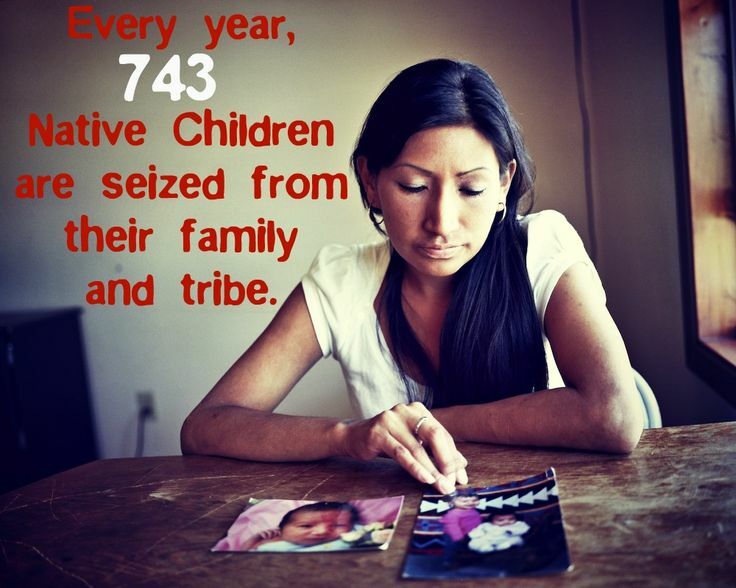 Trust me, ICWA is under attack. I do know that Indians are way ahead in surviving every broken treaty and then fighting each other over small scraps of power. Some tribes even subscribe to "blood quantum" as if they need to purge their citizen rolls of those who may be too white or too black. We have Supreme Court Justices using the blood quantum argument and you see that is not entirely their fault (they all went to law school but didn’t even have a course on Indian Law at those Ivy League schools) but it tells me - do not go anywhere near them. They are not even aware of their ignorance. Dusten Brown didn't have a chance, not in that court. We Indians shouldn't go anywhere near that court or any court with that level of stupidity. No, you can't tell America they are stupid. 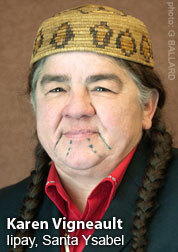 What the panel did say was each and every tribe needs to create and have their own child protection network. I agree since it's pretty evident that you can't trust any non-Indian social worker to go to the reservation and use their mother- father “family unit” example. Only Indians can decide who the right people are to care for its children. That person might be an auntie, grandmother or another relative, depending on who in the tribal family is willing and able. And the panel said we need more American Indian lawyers who become judges - because the way it is now - Indians can’t win. For many years Vine Deloria and others did try very hard to educate others (with their brilliant books) on the white man’s level, even earning degrees in white man’s colleges like Yale and Harvard, but it all comes down to this: whites don’t really care. And if we really think about it, this is a very dangerous situation to be in. Footnote: I attended white schools like most everyone else - Really nothing I learned was true or real about Indian culture or history. I learned more sitting at the kitchen table of my friend Ellowyn who is Oglala Lakota, who gave me an education about Indians not written about anywhere. Then there was my one adoptive aunt (a first-born American) who calls me a liar when I told her there were Indian Boarding Schools, and this was right after I visited Haskell in Kansas. No, Americans are not learning about Indians or the truth of our history. The Baby Veronica case is the sign, whether we wish to see it that way or not - but we can no longer ignore the ignorance or the danger surrounding this case. I have prayed and prayed to God .I know he sees all and knows all ,I asked what would Jesus have said about this: Vengence is mine saith the Lord .The children are his ,no man will ever harm or get near them .The time will come when the doors will be forced open and allthe people set free as in the days of Moses when God gave him the power to part the red sea for the crossing and safety of hos people .This is how God works according to what is written and the dreams he gives to the many to prophesy as these are the days of the new beginning.When a man knows it all a man knows nothing so it was written.On and on his words tell us ,all we need to do is ask and he answers by his written word and dreams (holy)I don't know but I have judged and it says man will judge ,he does so for justice and those that judge for ill reasons not for good.Knowledge and seeking the days when adoption first started was where most start a dispute form the detailed beginning,and in my humble opinion Trace DeMeyer has really got her research right on and God will help give her and others he wants as speakers to get this sealed secret vault but a whole world and a country in measure for the ones not aware as they might think it doesn't concern them ,.This Adoption Industry involves everyone and into everything like shattered glass back in the day went into every where and effected all kinds of things,what a horrible shatter ,like a quake in a way shaking things out of their natural order.God Speed I love all gods good people whom love him back and pray for those that just won't receive his goodness ,guess they forgot their is a devil on the lose from years back causing mayhem.People cause mayhem and break the ten only 10 commandments.This was written for believers and those whom might like to read this. Blessings to you Free and thank you for all your prayers! I know from the reports that Maldonado had (at least) two children already, and had lost custody of them to their father, and was obligated to pay them support. So at least part of her motivation in adopting Veronica out was probably to avoid another child-support judgment. But wait! you might say. She was engaged to marry! The relationship was apparently going fine! Yeah, maybe. And maybe she had met herself a new fella while Dusten was gone. She'd already expressed dissatisfaction with his military lifestyle, apparently, but she had to know that in that smallish town with Dusten's family and their mutual friends *everywhere*, eventually word would get back to him if she messed around, and it'd be over. And then she'd probably lose custody too. If he'd been single when that all came out it would have been one thing, but with them married, all he'd have to do is choose a guardian for Veronica, and he'd have the right to do that, and he'd have a chance of winning the custody battle. Bingo, another child-support bill. That's the only possibility that makes sense to me. Even her refusing marriage meant she felt there was a pretty good chance the marriage would not last, and it's cheaper to not get married than to file for divorce, and of course not being married to your baby's dad means any custody dispute will work in your favor in many states. Probably including Oklahoma. Thanks Dana for these comments - it's very important to this case to know what Maldondao did and why. Could she be mentally imbalanced? It's possible. I expect that one day we will know the entire truth. Did the Nightlight Adoption Agency control this situation (when they gave incorrect information to the Cherokee Nation) or did they tell Maldonado to follow their lead with promises of cash? On both, yes. It's looking that way to me. Any father who wants to raise his own child deserves the chance. 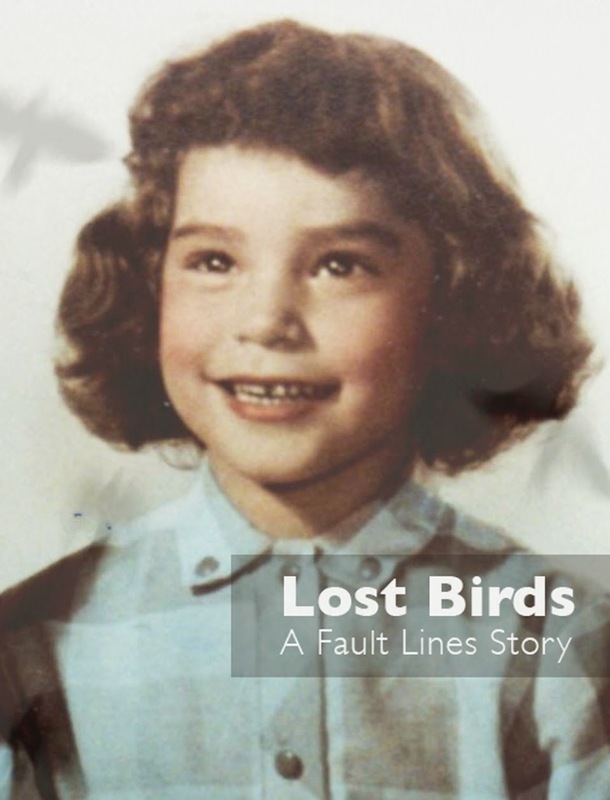 Dusten did everything he could legally but it was too late and not enough - considering the maneuvering of the Capobiancos and their lawyers and the media campaign. When money is exchanged for infants, it's trafficking. They might call it adoption but it's actually producing babies for couples like the Capobiancos to purchase. If what I heard at Yale is true, with the shortage of infants available to adopt, Indian Country is the first place they'll go and poverty is reason enough for Nightlight and others to target us. Oh, and I wish it were possible to nullify the Supreme Court decision solely on the basis of Alito misdefining what it takes to be declared a member of the Cherokee Nation. You don't need special classes in Indian law to know this one--the information's available widely. Ancestry on the Dawes Rolls is the main deciding factor, not blood quantum. If Alito couldn't take the time to educate himself on that--a quick chat with any official of the Cherokee Nation would have been sufficient, and they could have pointed him to documentation--then the rest of his reasoning is suspect too. With the briefs in this case, every Supreme Court Justice had ample opportunity to learn and then rule. And to clarify: Although Veronica's birthmother’s attorney contacted the Cherokee Nation about the birthfather’s Indian status, the request misreported Father’s birth date and misspelled his name. (And they were high school sweethearts so this was on purpose)... Then, on forms that govern the transfer of children between states, Maldonado identified Veronica as Hispanic, not Indian. If her heritage had been reported accurately, Interstate Compact on the Placement of Children staff would have contacted the Cherokee Nation before the infant was allowed to leave Oklahoma. 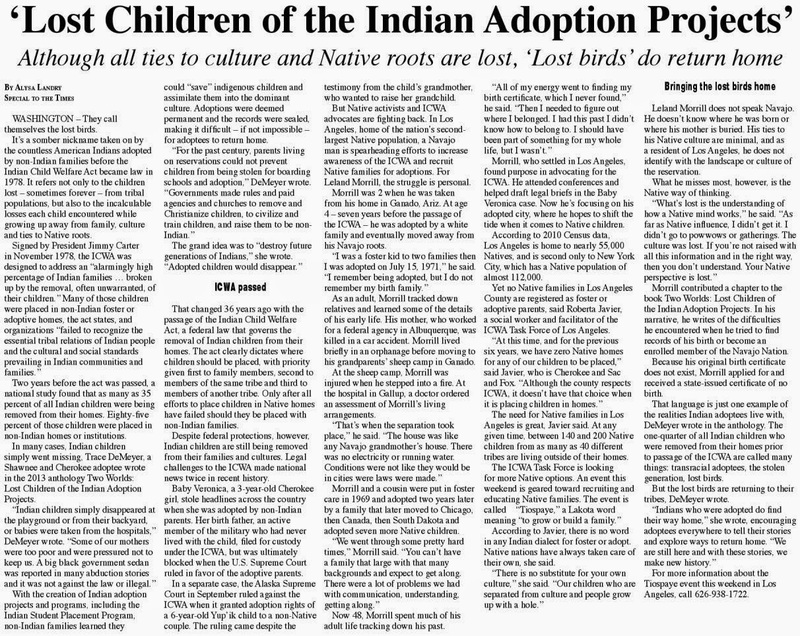 This whole thing about adopting Indian children stinks to high heaven. Stepping out on a limb with this one, "If white people want babies they should have their on and stop victimizing our people with this false sense of concern. It they we so concerned about our people then they should stop stealing our children and pass laws in their US Congress that will restore Indian nations with the lands and resources they systematically stole from us over the centuries." WISHFULL THINKING!!! OK lets get real. Their courts should prosecute them for their dishonest deeds and the crooked adoption agencies as well. MORE WISHFULL THINKING!!!!! So what do we do now? Would love to hear some realistic answers. ....and please if you can, leave religion out of this conversation.............THANK YOU!!! !